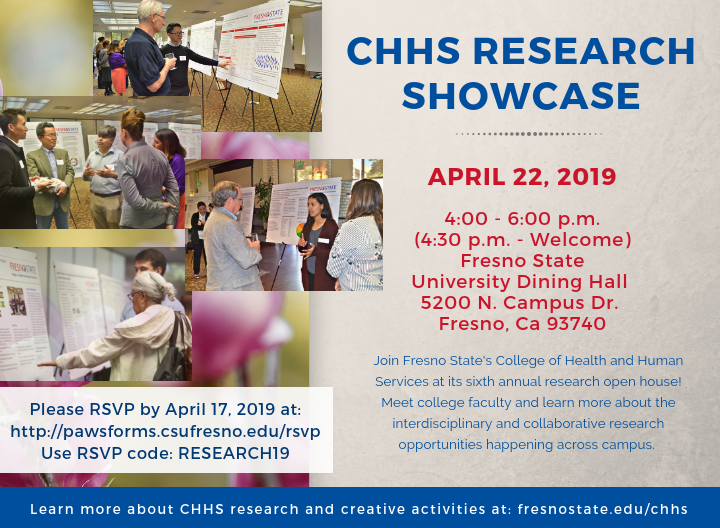 Join the College of Health and Human Services at its sixth annual research showcase from 4 - 6 p.m. Monday, April 22, at the University Dining Hall. This yearly event serves as an open house showcasing outstanding faculty and staff research, exciting new initiatives and innovative student projects. 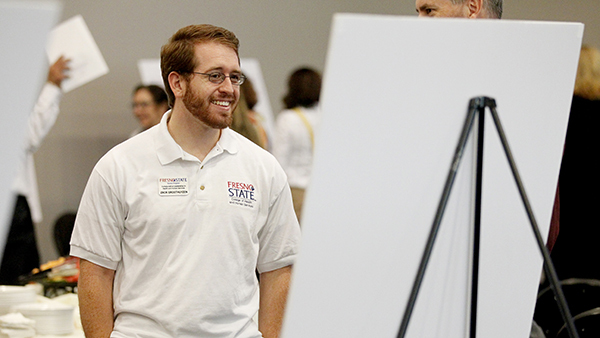 The event, which will include over 30 poster presentations, gives fellow faculty, administrators, alumni and the community a chance to meet and collaborate with faculty across campus and learn more about the interdisciplinary and collaborative research opportunities happening at Fresno State.